A network of people praying for an unprecedented outpouring of the Holy Spirit in our city, Virginia Beach, our seven city region, the nation, and the nations. 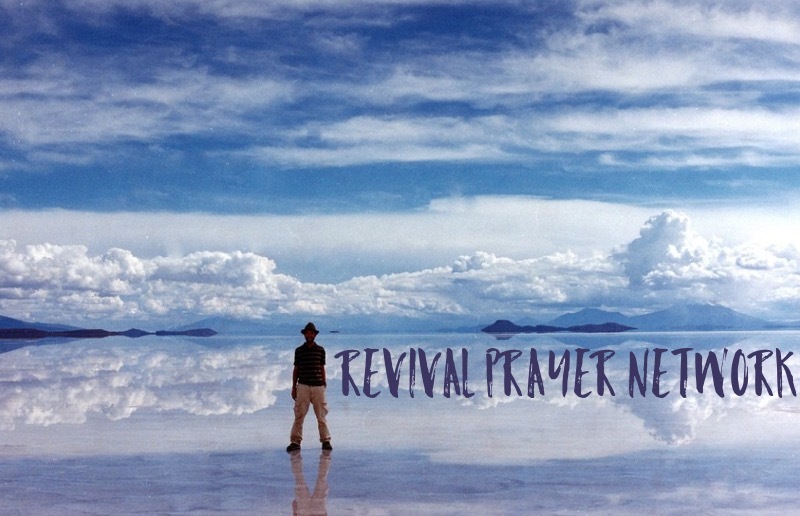 We are praying for REVIVAL to sweep multiplied millions into God’s Kingdom. We are praying for God to astound us, to show us His glory, to move powerfully among us, for HEAVEN TO COME. We are praying for people to walk in ever deepening intimacy with God. There is no denying the power of prayer. All of us have been called to a life of prayer –without which we cannot know God. Jesus modeled a life of prayer (Matthew 14:23, 25; Mark 1:35; Luke 6:12), continually drawing aside to spend time with the Father, and even now prays unceasingly for us (Hebrews 7:25). There are many different ways people pray. But our methods matter far less than our determined purpose to be constantly aware of God’s Presence, enjoying His Presence, continually listening, praying, and responding with quick willing obedience. Like any relationship, constant interaction with the ONE we love is what builds our intimate relationship with Him. Through prayer we become God’s friend. And God shares His heart with His friends (Amos 3:7). We want to build a network of people who are seeking God’s heart for our city, region, nation, and beyond. ANY believer in Jesus is welcome to join, regardless of church affiliation or denomination. This network is FREE. The only requirement is hunger for God’s Presence. The hunger that keeps us on our knees praying: Father, Your Kingdom come, Your will be done, on earth as it is in heaven (Matthew 6:10). Prayer meetings in homes, offices, at churches, walking through neighborhoods, or wherever people love to pray. Some people will pray alone, or with one or two others in small groups. While others may gather regularly in large groups. My city has twenty-two zip codes. I would love to have prayer meetings in every zip code in my city. How about your city? Do you know how many zip codes are in your city? Together praying strategic prayers for our nation on each day of the week. Prayer ministry teams who pray and minister and teach others to pray and minister supernaturally in the gifts and power of the Holy Spirit. Deliverance teams who minister and teach others how to minister in this vital yet largely ignored or forgotten ministry within the Church. Too many Christians live joyless, sick, anxious, tormented, depressed, or oppressed lives. That is, too many Christians are not free. They are saved, but they are not free. This has got to end. Jesus came not only to save, but to truly set people free from every kind of demonic torment (Luke 4:18). Two intercessory prayer teams praying strategic prayers for specific ministry needs, including prayer cover for those part of this network. As we begin, we have a Facebook group we are using to connect and pray together. Specific prayer needs and prophetic words will be shared there. As well as prayer meeting details.